From time to time, geegeez.co.uk offers readers the chance to join a racehorse syndicate. Our syndicate members are part-owners of the horses with all that that entails: paddock and Owners' Enclosure access at the racecourse, stable visits, regular updates and, of course, an equal share of prize money and sales revenues. 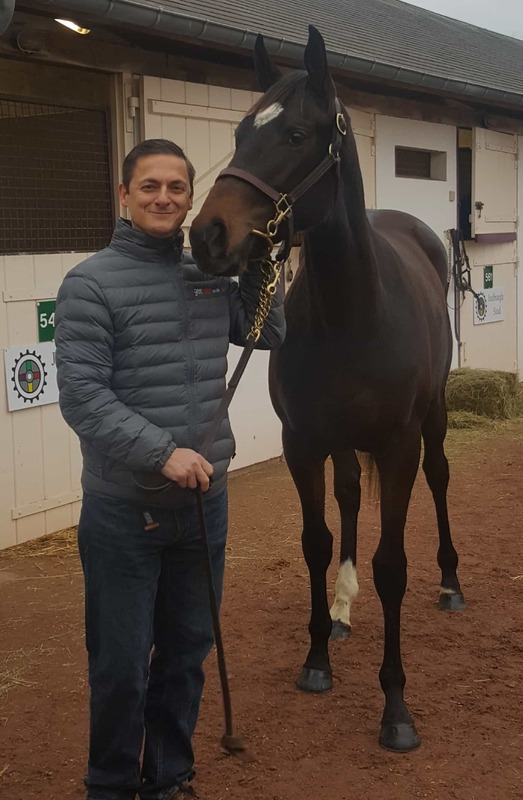 Details: Bought privately from a good source and fully vetted, this racy forward-going filly is already a good size and expected grow a little more yet. She's by top stallion Getaway (Getabird, Getaway Katie Mai, Verdana Blue, etc) out of a black type Old Vic mare (placed eight times in Grade 2, Grade 3 and Listed company). The plan is to bring her straight into light training for four to six weeks before allowing her time in the paddocks to grow, both physically and mentally. Thereafter, she'll be brought back in around August and trained with a view to running in a mares' junior bumper and, if showing enough ability, will be targeted at the Listed Junior Bumper at Cheltenham on New Years' Day. Syndicated into ten shares at either £4,700 all in (purchase, vet/agent fees, insurance, and all training and racing expenses until May 31st 2019), or £2,700 up front, which includes June/July monthlies, plus ongoing monthly instalments of £200 (total year one cost: £4,700). 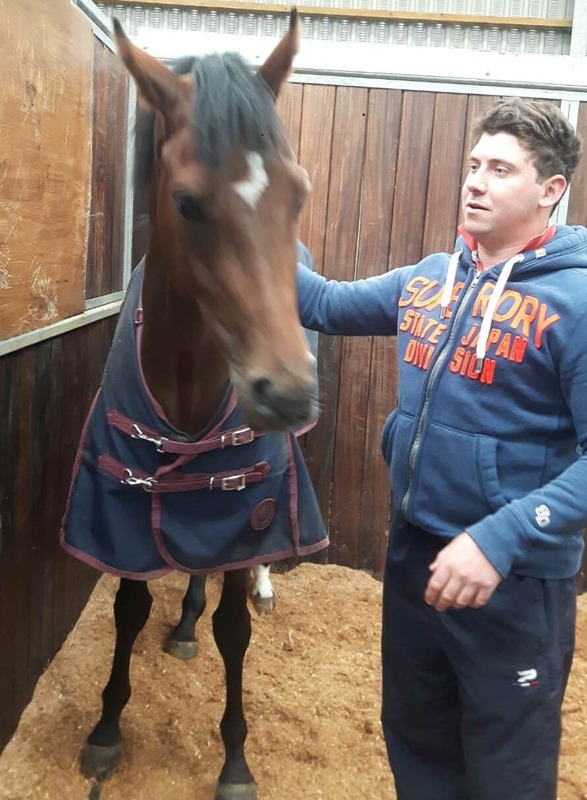 Details: Acquired at the Ascot June sales, this former Rebecca Curtis/JP McManus nine-year-old looks very well handicapped on some of his old form. He's lightly raced for his age - just twelve career starts - and will be eligible for valuable veterans' handicap chases from January. If Anthony can freshen him up, we might have plenty of fun with this chap. Details: Bought as a foal store in 2016, this fellow will go into full training in July having already done a fair bit of pre-training. As a result of that, he knows his job and has shown enough to date for a plan to be hatched. He's by Malinas (American, Black Thunder, Medinas, etc) out of a mare Anthony trained to win the Listed Mares' Bumper at the Aintree Grand National meeting in 2012. He's a very nice individual, and we're really looking forward to seeing what he can do later in the year. A similar 'project horse' to this one, Acey Milan, won the Listed National Hunt Flat Race at Cheltenham on New Year's Day for the stable! Syndicated into ten shares. There is now only one left, at £3,000 all in until the end of June. That includes the cost of purchase, keep, insurance and all pre-training expenditure to date and to the end of June. Details: Out of the same mare (Nine Red) as dual winner, Nonagon, and triple winner, Table Manners - both geegeez syndicate horses - this unnamed juvenile is pleasing the team at home. His siblings have improved with age but Wilf feels this big two-year-old might be an earlier type. He's a lovely mover who covers a lot of ground when he gallops and he comes from a family we know well. 50% syndicated into four shares. 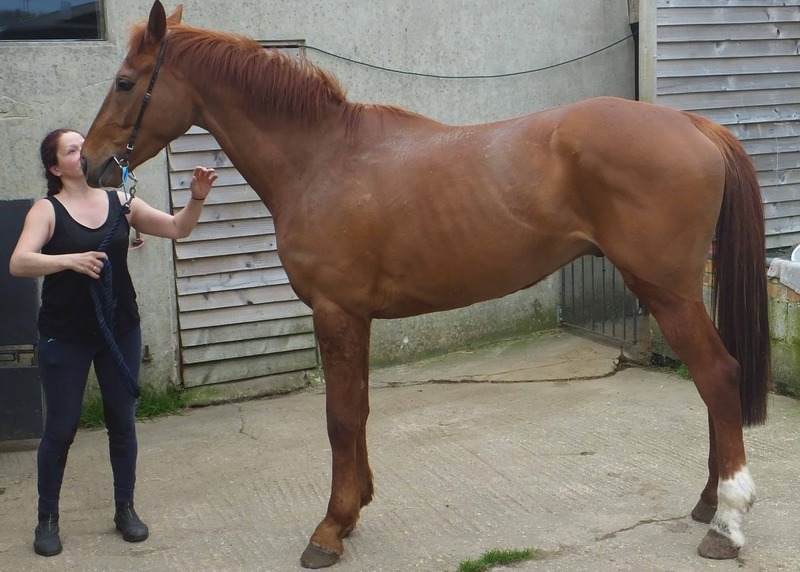 Final 1/8th share available for £1000 plus £160/month. Will ideally suit a northern-based racing fan looking to get closer to the sport we all love. Details: A maiden winner on the flat for Ed Vaughan from just five career starts - all as a three-year-old - this late-maturing son of Jeremy (Our Conor, Whiskey Sour, Jer's Girl, etc) looks a ready made juvenile hurdler. Purchased for 27,000 Guineas at the October Horses In Training sale, he has schooled very well and will be making his debut in the second half of January. He's a very exciting prospect who ran second first time up, beaten three lengths by a horse rated 130. Ran fifth in the Victor Ludorum Hurdle on his second start, and now goes for a maiden hurdle on Gold Cup day. Details: Half sister to the very smart Heartbreak City (Ebor winner, second in the Melbourne Cup). This beautiful moving filly is a very exciting prospect. She will be trained with the intention of running as a juvenile on the flat in late 2018, before a full three-year-old campaign in 2019. But it is when she goes hurdling that she ought to really come to hand. Details: Winner of two races on the flat for Sir Mark Prescott, 'Obie' was acquired privately to go juvenile hurdling. An impressive 20 lengths winner on his hurdling debut, he was then a touch outpaced when fourth next time out. Has been awarded an initial mark of 125, which was unchanged when he finished a close 3rd on his third hurdling start. Finished a close second in a Class 3 handicap hurdle last time and has since run twice at Cheltenham including at the Festival.